← Why Does My Well Water Stink? How Does Tap Water Differ From Rain Water? It would seem more likely that all water is the same, but water can be quite different in terms of chemical makeup. Prominent environmental factors and the origin of water supply are highly influential to the overall chemical composition of water. Two common examples include rainwater and tap water. Continue reading to learn more about water quality, including the primary differences between these two common sources of water. Hard water is water that contains high traces of dissolved mineral content, chiefly calcium, magnesium, iron, and more. These dissolved mineral ions amass over time in the form of “scale”, which is a thin, white, crusty film that has several negative effects on plumbing fixtures, pipes, appliances, hair, skin, nails, laundry, and dishware. The degree of hardness varies on a spectrum. Water can be anywhere on the hardness spectrum, between marginally hard and extremely hard. When used to describe water, the term, “soft” implies that there is little to no hard minerals present in its composition. Rain water is naturally 100 percent soft. It is free of the standard hard minerals found in rock and soil that cause hard water. Once the rain droplets reach the ground, the water begins to collect these hard minerals, changing it from soft to hard. Rainwater generally has a pH level that is slightly acidic, between 5 and 7. This is more acidic than tap water, and richer in nitrogen. This makes it the perfect companion to plants and gardens. As for consumption, rain water is not recommended. Although free of hard minerals, it can still have constituents in it that would make it undesirable, and potentially unsafe, to consume. 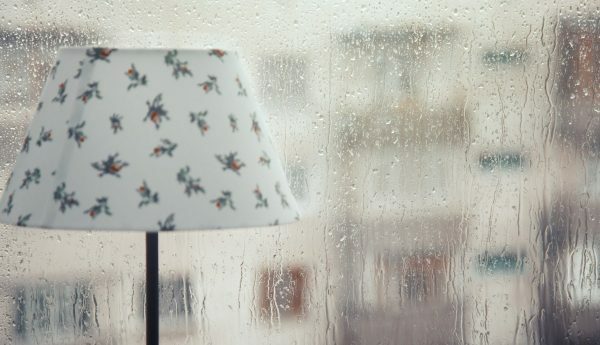 For instance, rain water may contain dust, insect parts, and lower levels of bacteria, all of which should be filtered out before consuming it in any form. This is why home water purification is important for those who live with hard water. Tap water comes from the faucet, shower head, dishwasher, washing machine, refrigerator, freezer, garden hose, and any other water supply line you have in your home. The level of hardness in your tap water depends on where you live, the city’s municipal water system, how you obtain your water, regional soil conditions, crops, farming, and more. In most cases, tap water is completely safe to drink. At the city plant, tap water is generally treated with chlorine (or chloramine); but it can still contain fluoride, salts, and a nominal amount of hard minerals. For this reason, it is strongly encouraged for all homeowners to have their tap water tested, and then implement the necessary strategies to eliminate the presence of hard mineral ions in their drinking water. The quality and overall chemical composition of your main water source is important for several reasons. For those who consume tap water, or use it to make coffee, tea, lemonade, and other water-based beverages, the water quality can affect taste, smell, clarity, and more. For gardeners, water quality can affect plant growth and yield production. 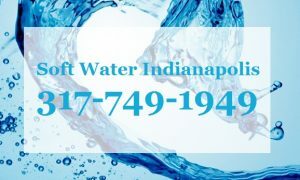 A great way to ensure your water is as good as it gets is to hire a professional Indianapolis water purification specialist. They have the knowledge and resources to test your water, recommend the best strategy for improvement, and deliver the products and installation services needed to get the job done in a time frame that is convenient for you. Call Soft Water by Weilhammer Plumbing at 317-749-0949 if you would like to learn how you can improve your home’s drinking water on a budget. You have several options, all of which are budget-friendly! Our licensed plumbers are soft water professionals who know exactly how to assess your home’s water purification needs, accurately and efficiently. Trust us for honest service at a fair price. This entry was posted in Water Filtration, Water Quality and tagged hard water, Indianapolis water purification, rain water better than tap water, Rainwater, tap water or rainwater, Tap Water vs rain water, Water Quality. Bookmark the permalink.